Five days before that, on 27 April, Nintendo had announced that its new console, the Revolution, was actually going to be called the Wii. And then, on 10 April, Nintendo held its conference where it showed off the final console and its games for the first time. Now, given that I was only a week in the game, I obviously wasn’t sent to Los Angeles to cover the event: instead, I stayed at ONM Towers in London, writing all the previews for the special E3 issue of the mag: issue 5, my first full one as a staff writer. Meanwhile, editor Lee Nutter and deputy editor Chandra Nair did indeed travel to LA to cover the event, and Chandra – as he always did when he was editor of Cube magazine – brought his ruddy big video camera with him. He used that camera to film as much stuff as he could on the E3 show floor, with the purpose of putting it all on a free DVD to be included alongside issue 5. Because of this, the fact we at ONM had actual DVD quality footage (albeit slightly compressed to fit onto a single-layer disc) meant our readers had probably the best quality video from E3 2006. 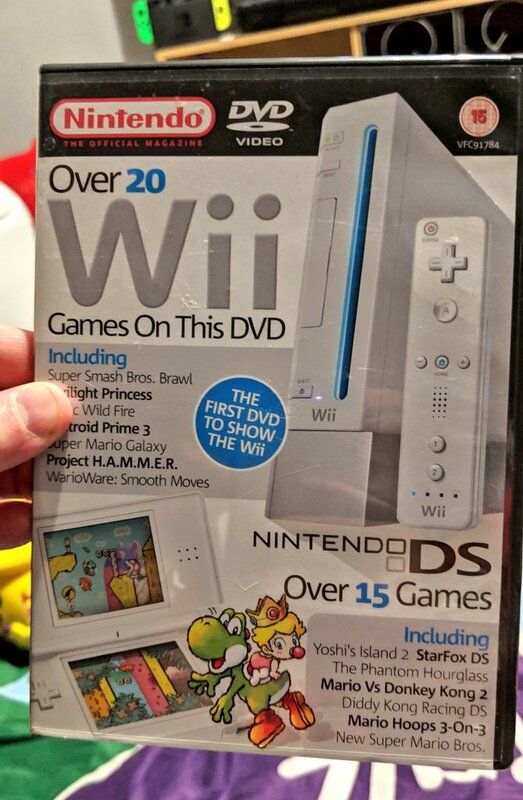 This also means that, to the best of my knowledge, this is the best quality footage you’ll see of cancelled games like Project H.A.M.M.E.R., Wii Sports Airplane (which became part of Wii Sports Resort) and Rayman 4 (which became Rayman Raving Rabbids a mere five months later… which is suspicious). Now, Future Publishing – who owns the copyright to everything ever created during the ONM days – is fairly strict when it comes to people republishing their content. That’s why I’m extremely grateful to Future’s legal department for granting me a licence to re-publish this DVD in its entirety on this site. We all know how the internet works, though, and it’s clear that if I’d just put up the entire DVD untouched someone would have it ripped and plonked on their own YouTube channel by the end of the afternoon. To get round this, I’ve recorded a commentary for the DVD. I’m sorry this means you won’t be able to watch it without hearing my dulcet tones over it, but it should at least give you some context to the 13-year-old footage you’re watching, along with some anecdotes from the ONM days. So, pour yourself an Irn Bru, get this loaded up on your TV’s YouTube app (it’s a long video, so you’ll need to get comfy: it’s easier to find it if you subscribe to my channel) and get stuck into the entire 97-minute E3 2006 DVD from Official Nintendo Magazine issue 5. If you want to help me write more articles and publish more videos like this, please consider donating to my Patreon account.